Blush pink in decorating is always on trend and I certainly enjoy accenting with the color in my home! Whether it’s pretty plates or glassware, pillows or throws…I never tire of pink charm. 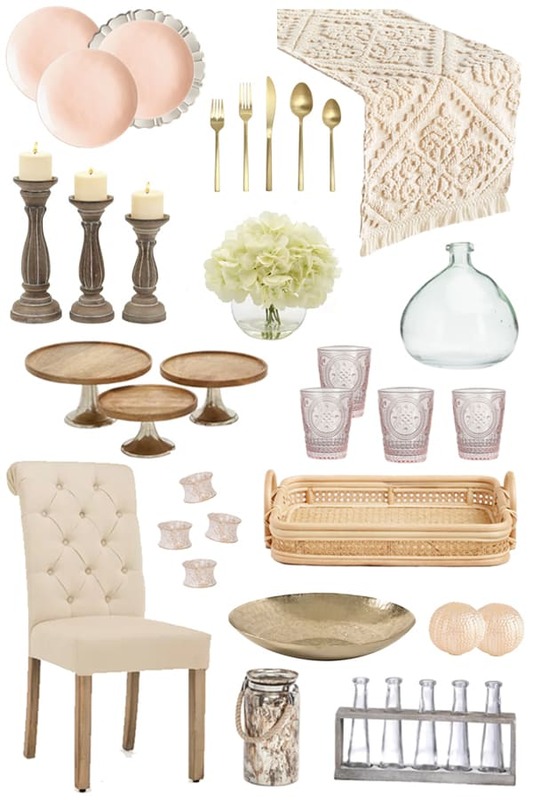 Plus pale pink is a neutral shade that blends well with cream, wood tones and gold. It’s a natural to mix in with wicker and a beautifully quiet shade that speaks Spring in a subtle manner. 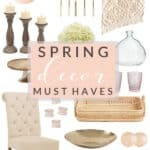 Shop my chic favorites below, and I’ve been working hard on my SHOP OUR HOME page and SHOP OUR BEACH HOME pages that have been updated as well. Enjoy and watch for some more printables coming your way this week! TAP BELOW TO SHOP THE LOOK – MANY OF THESE ITEMS ARE ON SALE AND ALL WELL PRICED! I have been so enjoying you site…. thank you so much for sharing all your ideas and your beautiful home…. it must be such hard work! I have been trying to open your free printables but don’t know where to get the password (i’m Not very savvy on computers!) could you help me? I’d love to print the Easter napkin holders. Just came across your blog and it’s full of gems! Thanks! I have searched and search through the many posts and I am trying to find out which post had the bottle of a blush pink wine. I looked it up and it has a grapefruit flavor. Can you please tell me what the name of this wine is. I’d love to try some. Thanks so much!